Two gifts in one! 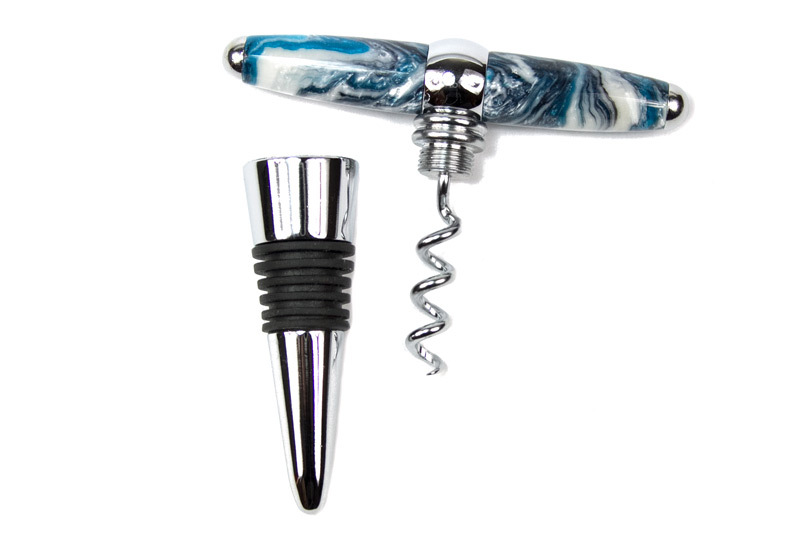 The stopper unscrews to reveal a corkscrew. The "T" handle provides superior leverage for opening wine bottles. A silicone gasket ensures a tight seal. Easy to turn on a pen mandrel. 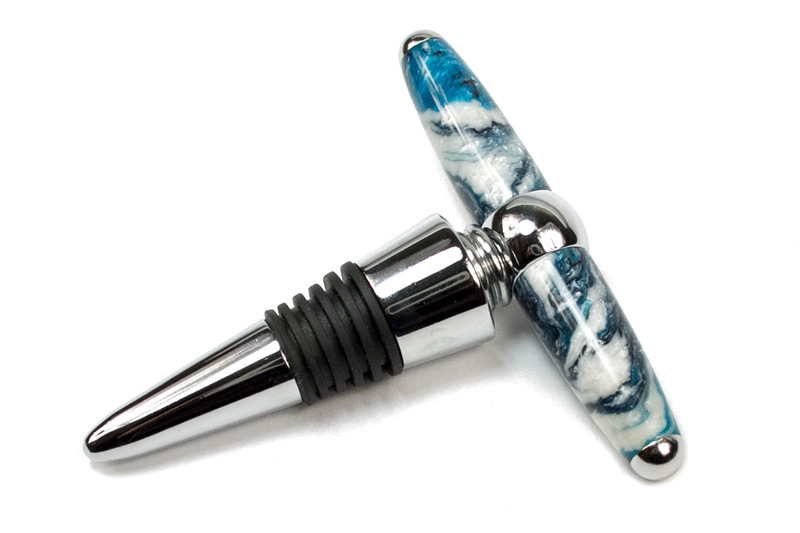 Corkscrew/Bottle Stopper shown finished with an Arctic Fog Vaper Swirl pen blank (sold separately). Tube and inside of the blank were painted white.